TODAY’S HARVEST – FIT FOR A KING! Ad some butter and olive oil to a pan and fry some onion until soft and brown. Now ad Spinach / Chard or Silverbeet to the pan and saute until soft. Ad salt and pepper to your taste. Ad finely chopped Garlic and Chilli and fry for another two minutes. 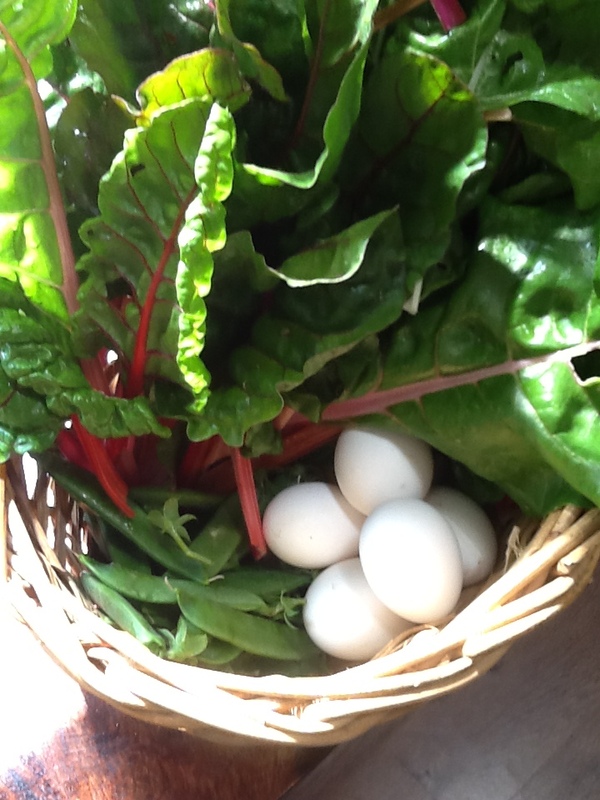 Turn the heat down and make as many indents in the Spinach as to the amount of eggs you want to cook. Break an egg into each indent and put a lid on the pan and cook the eggs to your liking. Sprinkle lightly with Parmigiano cheese if you so wish. Serve immediately with crusty home made bread and a glass of good wine.